It was my first trip to Chester, but as I walked around I started to feel a sense of déjà vu. It was like someone had taken the best bits from cities around the UK and spliced them together. The Roman walls could’ve been from York, the riverside from Bath, the cathedral from Canterbury and the canals from Birmingham. It was like a highlights reel from my weekend breaks. Chester’s location means it could easily be overshadowed by bigger, brasher neighbours Manchester and Liverpool. But this city has plenty of character, history and style of its own, and packs a lot into a small space. 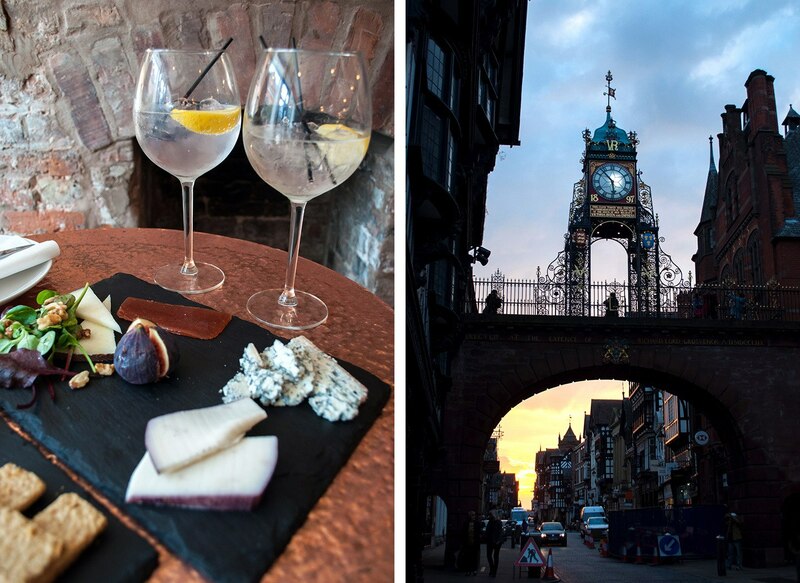 So here’s my 48-hour itinerary for the perfect weekend in Chester. Check into the Roomzzz Chester City, a modern apartment-style hotel located close to the racecourse. Each room comes with a mini-kitchen with a hob, fridge and dishwasher if you want to whip up your own food. There’s also a ‘grab and go’ breakfast included, where you can help yourself to pastries, fruit, juice and coffee. Rooms start from £60 a night. Or if you want to splash out, then head to the Grosvenor. This place is a Chester institution, set in a historic black and white building right in the heart of the city. It’s real old-fashioned luxury, from the top-hatted doorman and the lobby with its crystal chandeliers to the Michelin-starred restaurant and spa and thermal suite. Rooms start from £135 a night. Have dinner at Upstairs at the Grill, a two-storey New York-style steakhouse near the racecourse. As you’d guess from the bame they specialise in steak, with a range of different cuts of local meat dry-aged for five weeks. If you’re not a steak fan there are dishes like rump of lamb, Canadian lobster and slow-baked cauliflower steak on the menu too. Start the day with a big breakfast and get your comfy walking shoes on for a circuit of the city walls. The first walls were built by the Romans back when Chester was a fortress known as Deva Victrix, and they’ve been extended over the years. Chester’s city walls run for two miles in a circuit around the old city, passing medieval gates and towers along the way. 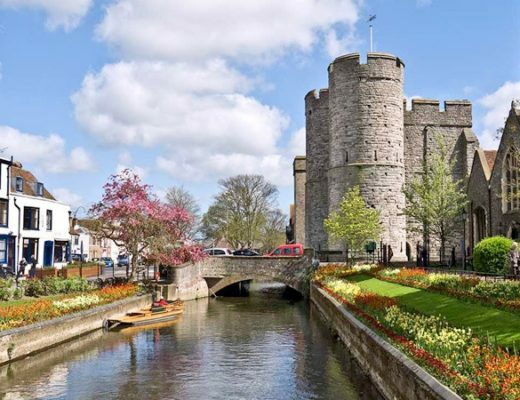 You pass under the ornate Eastgate Clock, built on top of a bridge to celebrate Queen Victoria’s diamond jubilee. It’s England’s second-most-photographed clock, beaten only by Big Ben’s clock tower. 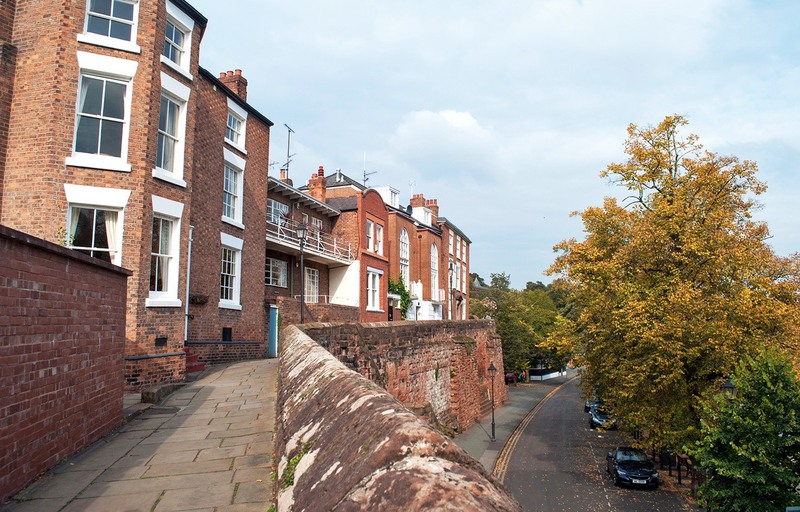 There are some remnants of Chester’s Roman history around too, including Britain’s largest Roman Amphitheatre and fragments from the old Baths in the Roman Gardens. Next head inside Chester’s most imposing building – the cathedral. It started life as an abbey before becoming a cathedral in 1541, and you can climb the tower for one of the best views of Chester. There are a couple of different tower tours. There’s a 30-minute tour (£6 per person) at 12.30pm and 3.30pm which visits the tower and bell-ringing chamber. Or a one-hour tour (£8 adults or £6 children) at 11am and 2pm, which also goes up into the cathedral galleries. Then walk just around the corner from the cathedral for lunch at the Chef’s Table on Music Hall Passage. This independent restaurant’s interiors are simple and stripped down so the focus is all on the food. Their website lists all the UK suppliers they get their ingredients from, which are turned into tasty dishes like spiced cod loin and confit abalone mushrooms. A set lunch costs £18 for two courses or £22 for three, with gluten-free, dairy-free and vegan options. 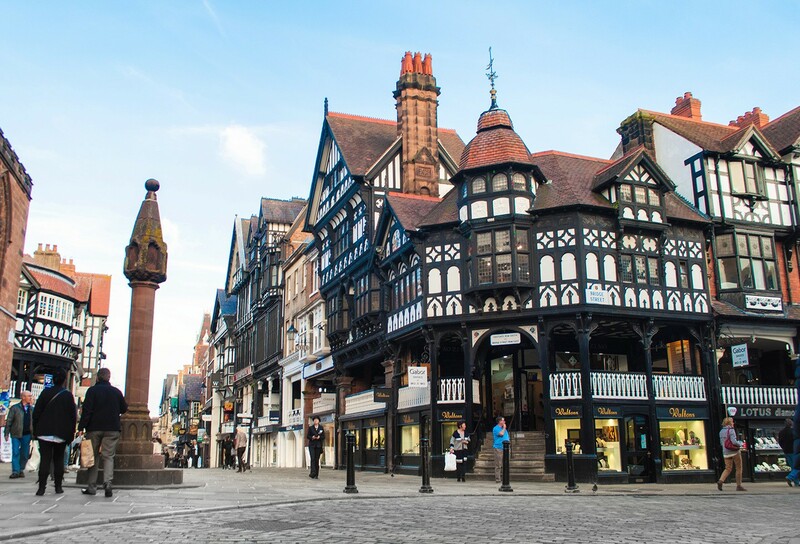 Chester is home to the original medieval version of a shopping mall – the Rows. These double-decker shops are unique to Chester (and a good place to hide out if it rains). Each black and white building has a layer of shops or restaurants on the ground floor, then another on a raised level above. The shops are great for browsing, with a mix of High Street favourites and local independents. Or if you’re a serious shopper then head just out of town to Cheshire Oaks – a big designer outlet village with over 145 shops. Have a pre-dinner drink in the Secret Garden at Oddfellows hotel, with cocktails in summer and hot toddies and an outdoor fireplace in winter. Then have dinner at Porta, a cosy tapas bar under Chester’s Northgate Bridge. It’s owned by the brothers who set up the popular deli-restaurant Joseph Benjamin next door. There are a lots of traditional tapas dishes on the menu, like croquetas, patatas bravas, ox cheeks and lentil and chorizo stew, along with with a selection of Spanish sherries, wines and cavas. Take a morning boat trip on the River Dee (adults £7.50, concessions £6.50 and children £2.50, with a discount if you book in advance online). Half-hour city tours departs at least once an hour from The Groves. They take you upstream under the Queen’s Park suspension bridge, past Grosvenor Park and through the meadows. Along the way you get background on the city’s history and some great views. Next talk a walk along the Shropshire Union Canal, which runs along the edge of the city. 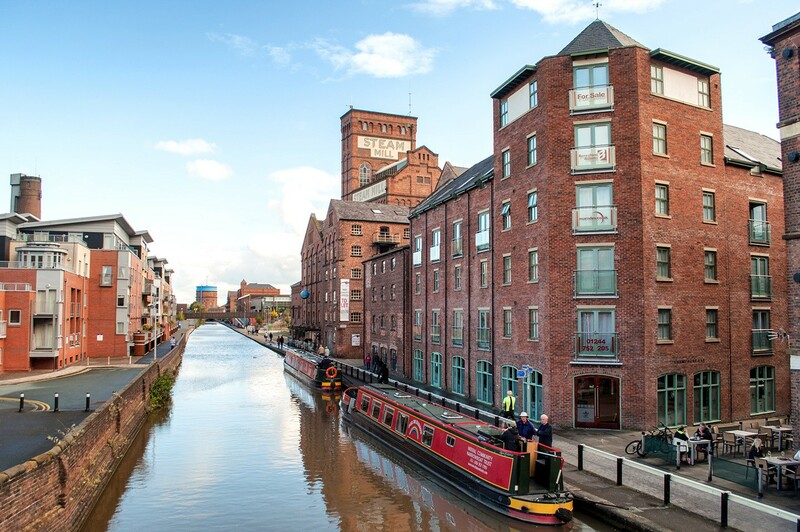 The towpath passes the city walls and converted industrial buildings, locks and narrow boats. Then refuel with Sunday lunch at Artichoke in a former mill on the canalside (it gets busy though so it’s a good idea to reserve a table). If it’s sunny grab a spot outside by the water, or head inside where it still has the original bare bricks and iron columns from its days as a warehouse. As well as a choice of roasts there are Mediterranean-style salads and pizzas on the lunch menu, as well as a selection of craft beers and an immense gin list. Finish off your weekend with a trip to the zoo. Chester Zoo is on one of the largest zoos in the country with over 20,000 animals (adults £24 and children £20 on the gate, but you can save about 30% if you book online in advance). It’s just outside the city and if you don’t have a car it takes about 20 minutes on the number 1 or X8 bus. It was founded in 1930 and focuses on conserving endangered species and keeping the environment as natural as possible. You can visit replicas of South-East Asian islands as well as the Elephant House, a Black Rhino reserve and the Realm of the Red Ape, and there are lots of activities for kids. 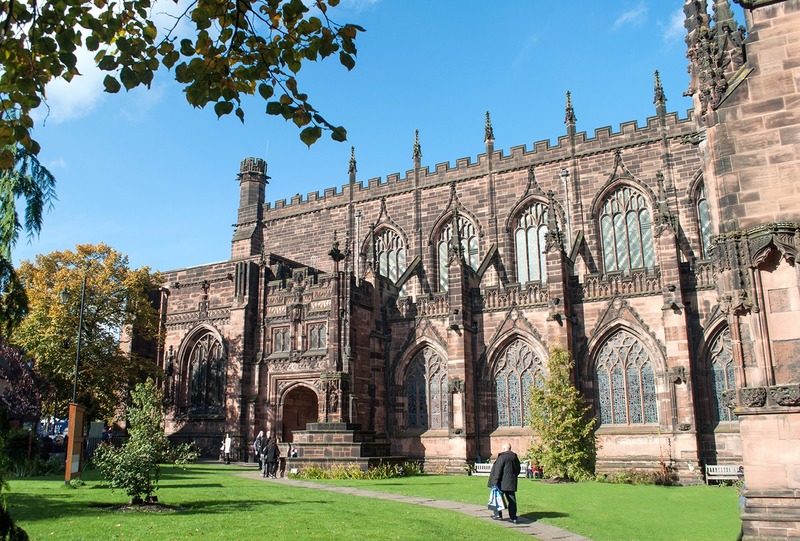 Have you visited Chester? Do you have any tips to add on what to see, do and eat? Thank you! Have so many great cities across the UK it’s tough to pick which one to choose next but I’m planning on heading to explore some more places in the north soon. Looks like a fascinating place. Must check it out!! It’s a nice weekend spot with a good mix of things to do – and some lovely scenery! The weather does make a difference in my feelings about a place, luckily we had some lovely late autumn weather this time! 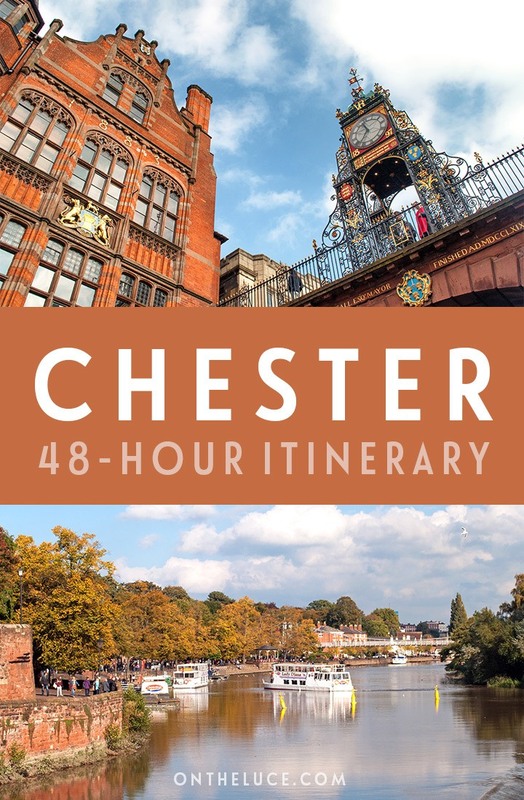 Think I definitely need to add Chester to my list of places to visit next year – it sounds like a combination of all my favourite places! I fell in love with the zoo a long time ago, but don’t remember actually seeing the city itself. 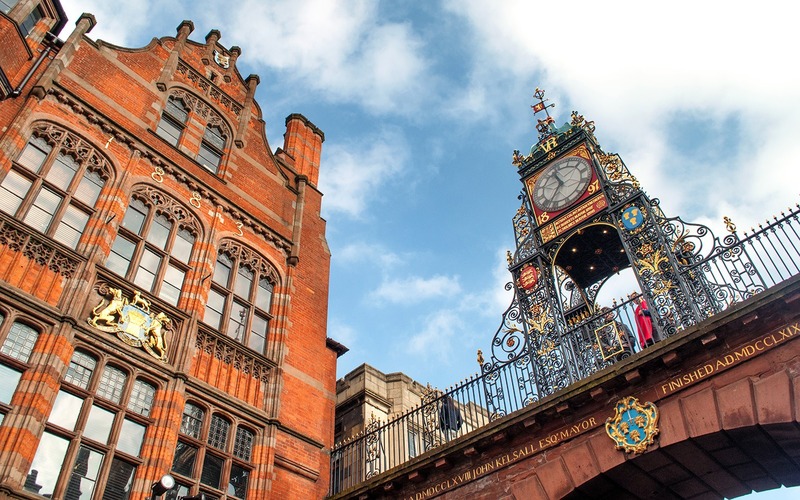 Chester is lovely – perfect weekend break size and lots of nice bits to wander around and stop for tea and cake so it’s a nice relaxing weekend! Looks like another place I need to add to the list. Possibly with Liverpool as I haven’t been there either! You pack in a lot during your weekends Lucy! The New York style steakhouse is very tempting. I do like a really good steak and they are not easily found. I’ve never heard of Chester, but it’s so charming and quaint! Might need to pencil it in for an upcoming day trip! It definitely deserves to be more well known – hope you enjoy it! Thanks, it’s a lovely place! I do love a good British weekend break! Have so many more places I’d like to explore, lots of them in the north too. You should, it’s a great place! That does sound like a perfect weekend! 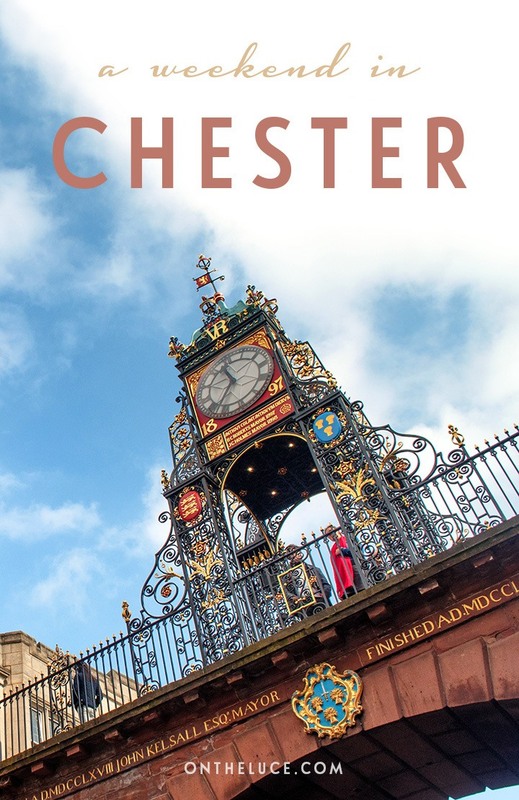 I’ve never been to Chester but having read this I know I’d love it. I’m sure you would, it has some great places to explore – and is so photogenic! Thank you! Yes I bet it would be gorgeous in the snow. I enjoyed reading your guide to Chester. I hadn’t heard of the Rows. It makes me want to go and explore! The Rows were great – I’m not normally much of a shopper but it was really nice place to browse. Isn’t Chester just the best? What a great place to study! It’s such a lovely place. My mission is complete then! It’s been so nice discovering places that aren’t so well known and finding out all the great things they have to offer. Here’s to lots more in 2017. You’ve certainly covered all the bases with a great variety of activities. 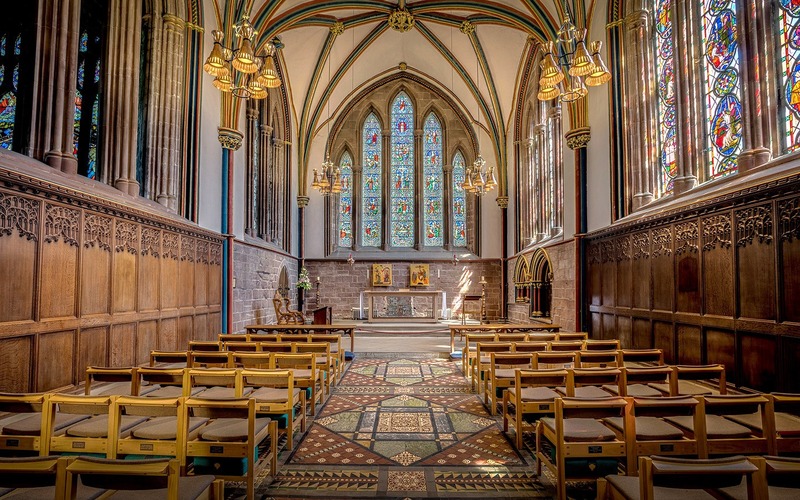 Chester Cathedral looks so pretty, I’d love to visit! Thanks, it’s a surprisingly diverse place for a small city – and the cathedral is gorgeous. I went to Chester zoo as a child but have never explored the city. My UK city break list has just grown a little longer…! It’s definitely worth a spot on the list! It really amazes me to see unique and stylish structure such as The Rows, its like you’re in a movie set and the director calling in for a cut. What an explicit view of The Rows. Hey Lucy!! 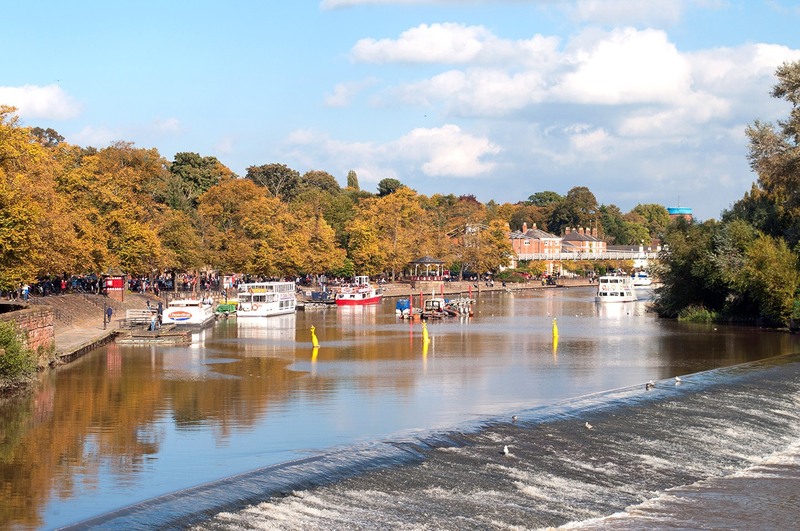 Amazing post .. i also visited Chester over the recent weekend and covered it on my blog!! This is indeed a beautiful city!! Thanks it’s a great city isn’t it!